All eyes will be on you when you enter the ball room in the Royal Brocade Gown. This noble ladies dress has long, flared sleeves trimmed with white faux fur for an extra touch of luxury, as well as crystal accents down the front, starting at the square neckline. 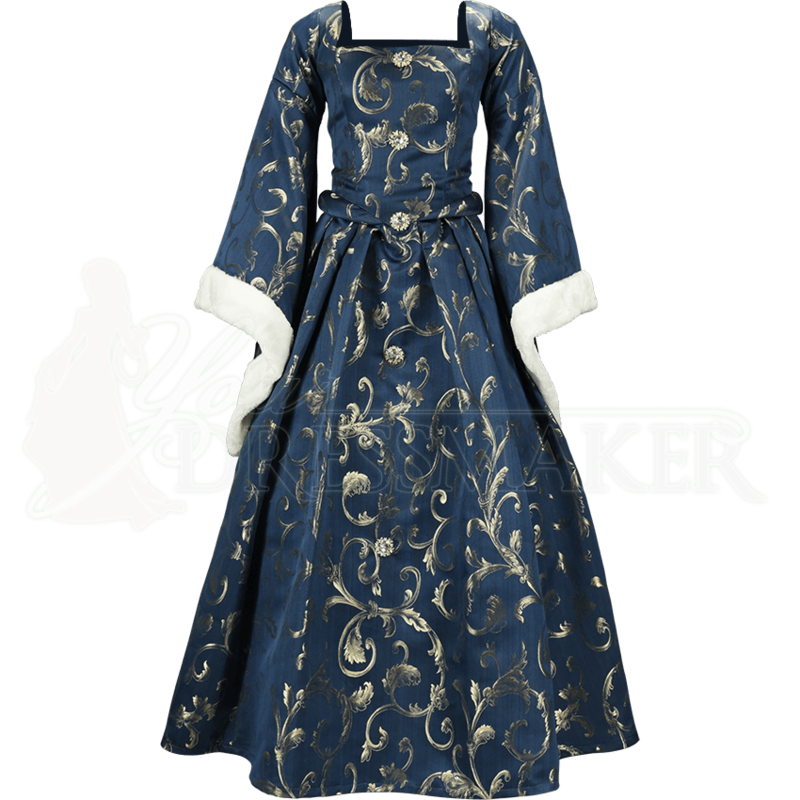 Offered in a variety of beautiful, ornately patterned brocade fabrics, this Renaissance gown has an A-line shape that is figure flattering, as well as boning in the bodice for structure and support. Available in a range of sizes, this brocade dress can also be further adjusted for best fit with lacing at the back. Wear this historical dress for reenactments, Renaissance fairs, costume balls, theatrical productions, and any occasion that calls for lavish elegance. To give this dress the full-skirted look shown here, pair it with the A-Line Petticoat (MCI-145) and Crescent Bum Roll (MCI-421), each sold separately.